Admire the spectacular views of the Laurentian Mountains, as you make your way through the narrow country lanes that criss-cross this scenic landscape. Escape from the city for one day and uncover the beautiful natural paradise which since the 1950s has become the playground for Montréalers. Gray Line’s professional licensed tourist guide will introduce you to the history and beauty this region has to offer! Sainte-Agathe-des-Monts: Once arrived, board the Croisières Alouette boat for a 50 minute cruise. 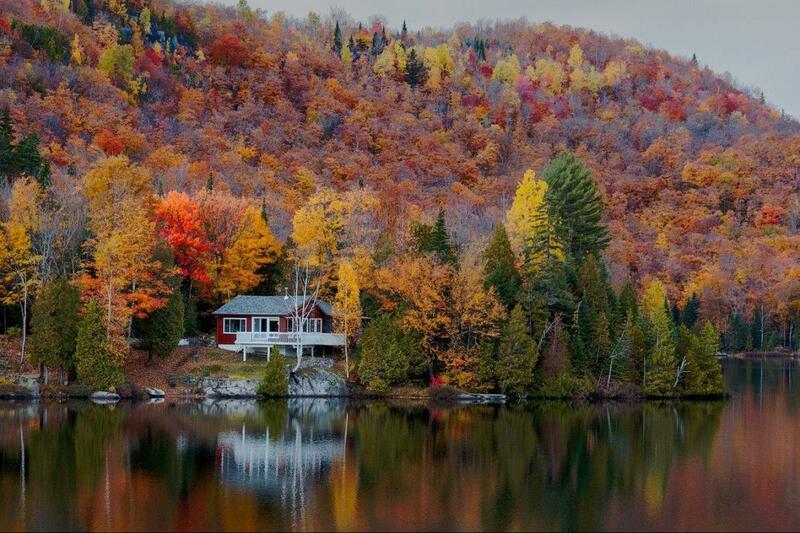 Discover Lac des Sables, the most picturesque lake the Laurentians has to offer! Saint-Sauveur: Enjoy a photostop and this charming village. You will have time to visit the local shops, cafés and historic buildings. Saint-Adolphe d’Howard: On the way to Mont-Tremblant we will take a short stop here to enjoy the ambiance and beauty of Lac Joseph and the quaint village. Would recommend tour as an excellent way to experience surrounding countryside and villages. Nice trip. Beautiful places and landscapes. Excursion muy agradable y bonita.